Both content marketing and native advertising have received a lot of buzz. Yet many brands don’t understand the differences in efficacy between these two marketing methods. Fortunately, a recent research-based report by Fractl and Moz examined the effectiveness of content marketing compared to native advertising. By analyzing this report, along with cost data from 100 leading publishers and native advertising cost data from nearly 500 digital publishers, MarketingLand.com determined that content marketing is king. 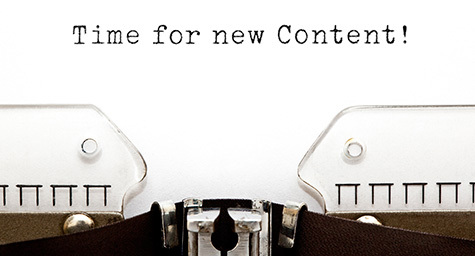 Discover the five reasons why content marketing reigns supreme. Almost half of brands measure the success of their content marketing by the total number of leads, high-quality links, and overall social media shares resulting from each campaign. And content marketing ROI can be determined through increased organic rankings from earning a high-quality link portfolio. In contrast, native advertising reach can only be measured by the amount of paid publisher partnerships, which are not able to pass value. According to the research, top publishers want to see more infographics, articles, data visualizations, and mixed-media pieces. So, infographics and articles represent the majority of campaigns created by content marketing agencies. In fact, 65% of content marketing agencies develop between one and 10 campaigns each month that include these desired elements. These campaigns offer limitless opportunities to earn a diverse portfolio of press coverage. Meanwhile, native advertising merely ensures the original publisher’s placement. This shows that content marketing responds to publishers’ needs. The research revealed that the average content marketing campaign generates 27 links. And an agency’s most successful campaign acquires 422 links on average, along with a median of 150 links. In comparison, native advertising only secures one link. A whopping 70% of content marketing agencies offer monthly retainers, with 60% of agencies keeping retainers under $10,000. These retainers are typically divided into the four brackets of $1,000 to $5,000, $5,000 to $10,000, $10,000 to $50,000, and $50,000 to $100,000. The research showed that retainer cost directly correlated to a marketing campaign’s success. This was attributed to the larger budget, which offers a wider scope of marketing, which results in more exposure and engagement opportunities. According to the research, $54,000 is only an average figure and publishers’ prices differ based on their authority and reach. Yet the size of a publisher’s audience doesn’t ensure campaign success, with the costs of larger publishers too high for most brands. Today, marketers are fortunate to have many options, including content marketing and native advertising. Since brands have different goals and needs, each has to choose the marketing method that makes the most sense for their business. Discover savvy strategies for content marketing. Contact MDG Advertising today at 561-338-7797 or visit mdgadvertising.com.